RIMBO: Yemen’s warring parties have agreed to a prisoner swap that will allow thousands of families to be reunited, United Nations special envoy Martin Griffiths said in Sweden on Thursday. 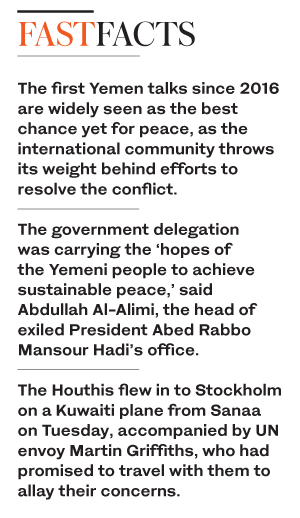 Peace talks between Yemeni government representatives and a Houthi delegation began on Thursday, the UN envoy delivered his statement at a press conference. The reduction of violence, Sanaa Airport, humanitarian access and economic challenges will be discussed, Griffiths said.